It’s not every day I get the privilege of talking with a person such as Amy Kress. Amy is a contemporary singer whose bouts with cancer have motivated her to pursue what she’s always wanted to do. Sing. First diagnosed in 2011 and dealing with a recurrent, Amy has devoted her time recently to chemo and song-writing. Needless to say nothing has slowed down Amy in her passion to create music that reaches directly to heart. Many of the themes in her music are derived from life experience and presented in a contemporary electronic soulful fashion. 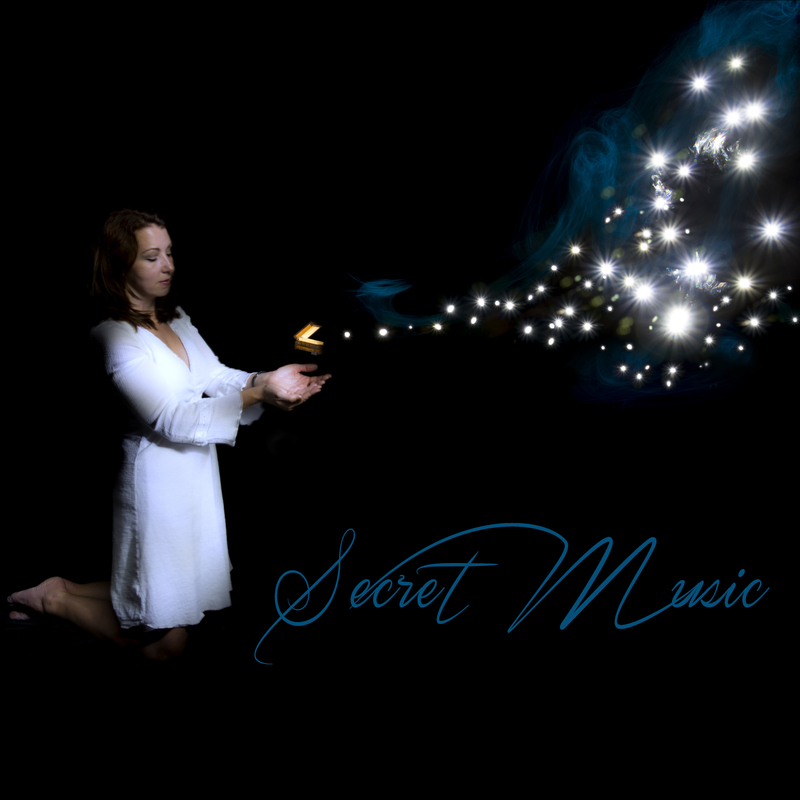 Her album Secret Music is proof of her vocal prowess and ability to adapt to the instruments from elements of electronics, RnB, Pop, Dance, and a touch of rock. Amy took time out of her life to share with me her story and her plans for the future. James West: Where does the story Amy Kress writer/musician begin? 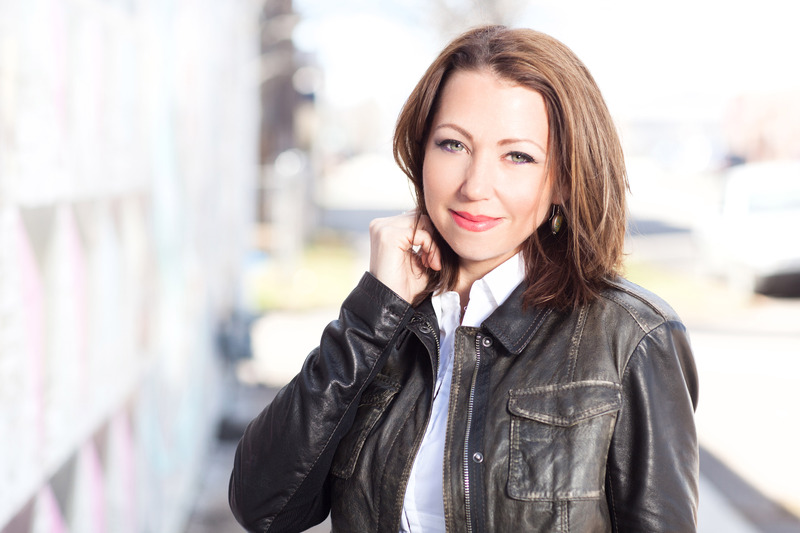 Amy Kress: It begins as any story does, at the beginning: I have always been musical. Music is my language. I’ve played piano longer than I can remember. I picked up the French Horn when I was 10 and played that for 12 years. I taught myself the guitar and I write on that sometimes too. I wrote my first song when I was 8 or 9. I was learning to play a song and hit the wrong notes in a chord and thought it was pretty. It kind of evolved from there. I joined the choir in high school where I learned I could sing a little. None of it really went anywhere though. I’m not a natural performer and felt uncomfortable with the spotlight on me. I never pushed myself on anyone and so outside the high school musical environment I was in (band geek) I didn’t play for anyone that often. James: How has your battle with cancer influenced your life as a writer and singer? Amy: Music has been so natural for me and I was surrounded by musicians in high school that I kind of assumed that everyone did it. It wasn’t until I was out in the world that I realized that I had a rarer gift. I made a few futile attempts to start a band but musicians, generally speaking, are a flaky bunch, me being no exception, and nothing ever really happened with that. It was always a far off distant dream that maybe I could be a musician again and that I could find people to play with. When I was diagnosed with cancer in 2011 I panicked when I realized that I may never get a chance at that far off distant dream. It wasn’t going to come to me so when I completed my treatment I began to take active steps to make music more a part of my life. I found some musicians via craigslist and made some music there but it was a letter from a producer at the Spot Studios who had heard my music that really got things going. I started recording there and I haven’t stopped yet. James: Are there any musicians you have been influenced by in your singing style? Amy: Totally! I love love love Bjork. The way she can incorporate electronic magic in her music amazes me. Her range is astounding and her song ideas vary from love songs to losing her keys. I grew up listening to Simon and Garfunkle and I love the way they harmonized as well as the stories Paul Simon told when he wrote. Sting too is a genius story teller and I try to emulate him when I write. Then there are newer musicians, SOHN has an incredible delivery on his vocals, he gives me goosebumps. I have recently discovered Lo-Fang who has some interesting choices in subject matter. His music is a fantastic blend of electronic and acoustic. I’m hooked. James: Do you play any instruments? Amy: Yes! Piano, French Horn, Guitar and Trumpet. Well, I don’t play the trumpet all that well but I could get by if there were some kind of jazz band flash mob. James: What was the first song you ever wrote? Amy: I called it Vonny after my best friend at the time twho loved to dance to it. It was simple and relatively unadorned, but then again I was 8. She’s still one of my biggest fans. James: In what ways do you connect with fans of your music? Amy: I have been really trying to stay connected via all my social media accounts. I’m actively on Facebook and often on Instagram but I admit that sometimes I have a hard time keeping up with Twitter. I like that I have an app that shares a post on all the sites at once so I don’t have to update everything all the time. I also really like to blog. It’s kind of my thing I guess. I have always liked writing and it’s cool to have an outlet for it. I have occasionally blogged on my website but I am trying to make it more of a weekly thing. I like to record the odd song I have written too and post that when I can. James: How do you manage your personal life and your career in music? Amy: It has been a challenge and a blessing. James: Your life story is truly an inspiration and has no doubt influenced others. Would it be alright if you shared a fan letter with me that touched your heart the most? Amy: Ha! I would love to but I have only actually received two fan letters! One from a fellow in Virginia and the other from a man in Sweden. Sadly I don’t believe I have a copy of either one. James: What’s 2015 going to have in story for all your fans? Amy: Well, I am writing music all the time. I wrote a new song just last night that I think I might share as a video on my Facebook page soon. As I am actively fighting cancer for a second time and am currently half way through my chemo treatments I will wait until I’m done to perform live. Right now I have been writing blogs and recording “living room sessions” which is really just me recording myself with my iPhone. I am almost done with my second album which was written and recorded at The Spot Studios. It is largely a more uptempo album from Secret Music. I believe we were setting out to make a dance album when we started it in September 2014. I was diagnosed with recurrent breast cancer on Sept 23 and started chemo in November so circumstances changed the songs and general feel from the original concept. What were intended to be light hearted fun dancy fluff songs have turned introspective and personal as I undergo treatment. I’m really proud of what we have been creating and I’m looking forward to completing it and getting that music out into the world too. I should be ready to get back to it full time by July and I have all kinds of ideas for shows and more music to play. I also fully expect to do a tour this summer and we are in the planning process now. James: Thank you for answering my questions. Are there any words you’d like to send to the readers of Contrast Control? Shout outs to anyone? Amy: Thank you for asking the questions. The big thing I promote and say at almost every concert I play is that every woman should do a self breast exam. Be diligent and careful. No one expects that their body might turn on them. That happens to other people, until it happens to you. Early detection is important but doing something about that worrisome bump is key. There you have it from Amy Kress herself. It’s always nice to get such insight to the musician we listen to. It helps us connect with music on a deeper level and also with the one who creates it. Amy is a true talent in her art of singing. Secret Music is out now and can be streamed on SoundCloud. I’d personally suggest a listen as the album is fun, thoughtful and full of heart. I’d like to thank Amy for having fun with my questions and answering them and as well her management BLDGBLKS Music Company, who made this interview possible and connecting us with such an amazing singer who is openly sharing her battle with cancer and her passion for creating music. Contrast Control looks forward to more from Amy Kress as the music she creates will take anyone’s mind and heart to a place of beauty and reflection to see that we are all capable of accomplishing our dreams if we take the first often scary step towards that dream. Amy, Contemporary, Contrast, Control, Feature, Interview, James, Kress, Life, Music, West. Bookmark.